Maine Small Claims Court exists to give small business owners and individuals a way to recover money in a cost-effective and relatively simple way. Small Claims are limited to $6,000 and plaintiffs can take their cases directly to Court, saving money on attorney fees. Maine outlines the process in a detailed guide and claims are considered in local courts. Easy, right? Well, sometimes. People who use the small claims court effectively learn that not every case should be litigated. They carefully research to make sure their customer has some means to pay. They understand that simply getting a judgment is not enough. The Maine Small Claims Court does not collect the money for you. If you win your case, you are awarded a judgment, and become the judgment creditor. Your customer, the defendant, becomes the judgment debtor. The judgment you obtain is a court order that details how much the judgment debtor must pay you, and when. If they do not pay you within the specified time, you can begin post-judgment collection. In Maine, you can bring the debtor back to court for a disclosure hearing to determine which assets they have to pay the debt. After disclosure you may decide to place a lien on property owned by the debtor or recover your money using a bank or wage garnishment. 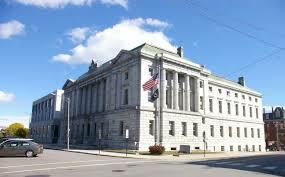 People who get the Maine Small Claims Court system right make certain they bring the right claims to court. They make a decision on the economics of the file – realizing that at least one, and possibly several trips to court may be required. Since costs average around $100.00, but could be significantly more, they choose carefully. They make sure they have the correct address for serving the lawsuit. If the debtor is a company, they make certain they name the correct business entity. When they go for the Court hearing, they are prepared. Most importantly, they have a realistic view of the process and realize that it may take some time to get paid. People who get the Maine Small Claims Court system wrong do not prepare. Most of the time, they are suing people solely because it appears to be less expensive than hiring a collection agency. It can be, if a quick settlement can be reached. However, less than twenty five percent of cases settle easily. The balance need a considerable effort for recovery. I cannot tell you how many times we are contacted by small business owners to collect judgments that are incorrect, or are against companies or individuals who do not have any means to pay. The best way to get the Maine Small Claims Court right is to realize that is only one tool in the debt collection toolbox. Have a strategy that includes a solid in-house collection effort, a relationship with a debt collection agency and a working knowledge of the Maine Small Claims Courts, and success is guaranteed.